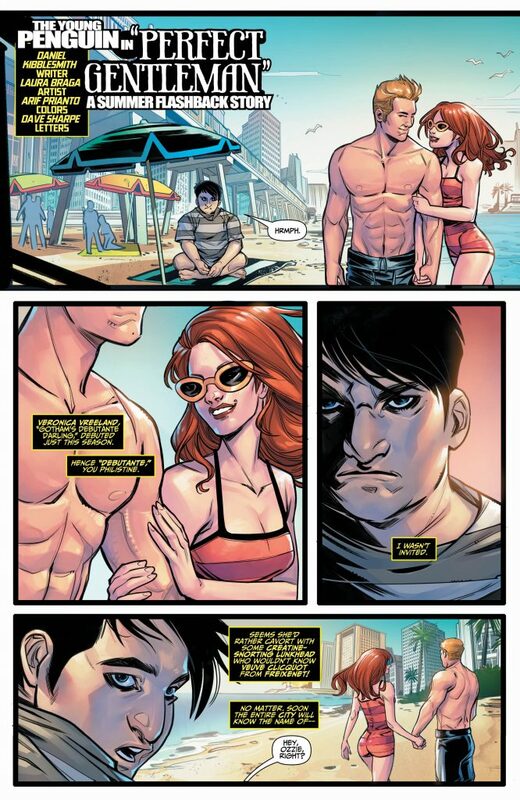 THIS REVIEW FOR ‘DC’S BEACH BLANKET BAD GUYS SUMMER SPECIAL’ #1 CONTAINS MINOR SPOILERS. By Clyde Hall. 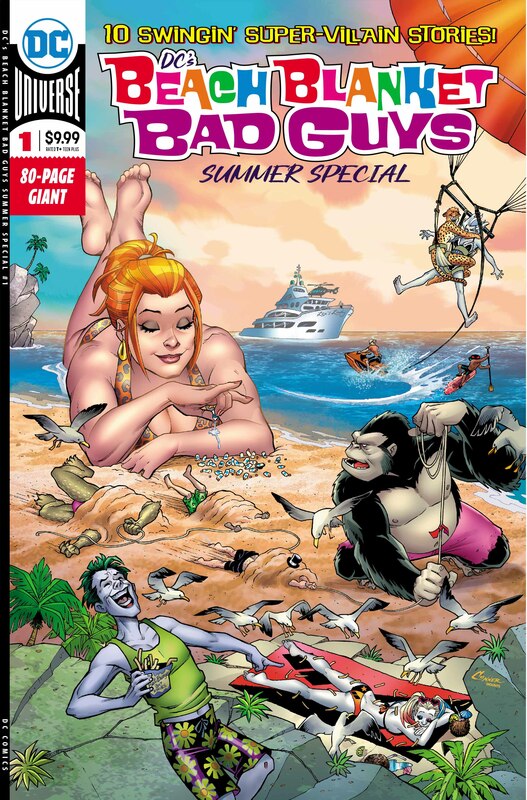 Hordes of imaginative talent both seasoned and newly minted combine forces to grant DC’s malefactors their moment in the summer sun with DC’s Beach Blanket Bad Guys Summer Special #1. Amanda Conner’s delightful cover is the stuff of lemonade-through-your-nose laughter, and while there are other doses of whimsy inside the book, the ten included short tales also run an impressive, varied, dramatic gamut. In many cases, readers have a rare opportunity to witness the summer of these antagonists’ discontent. We find that not everything will be felonious-but-breezy with the very first story, “Worst Finest”, wherein Lee Bermejo explores how two of the most suntanned-challenged DC rogues bury their troubles (along with several bodies) in a sandy seashore romp. This Joker/Bizarro outing is appropriately nightmarish, a syrup of ipecac milkshake owing much of its charnel charm to the dizzying, decadent art of Francesco Mattina. In “Help”, a roadside breakdown presents a vexed Lex Luthor whose mood isn’t improved by the Good Samaritan coming to his aid. There’s humor, but Jeff Loveness’ script also captures what Superman means to the regular workaday people he champions. The Mr. Freeze story “Close Shave” shows a facet of Batman’s cold-hearted villain that we don’t normally see. Without ever becoming drippy, Paul Dini’s narrative gives us reason to cheer a very bad man for a very good cause. The smiles he inspires are aided by John Paul Leon on art and colors, with deft contrasts between the icy realm of Freeze and his temperate sun-drenched surroundings. 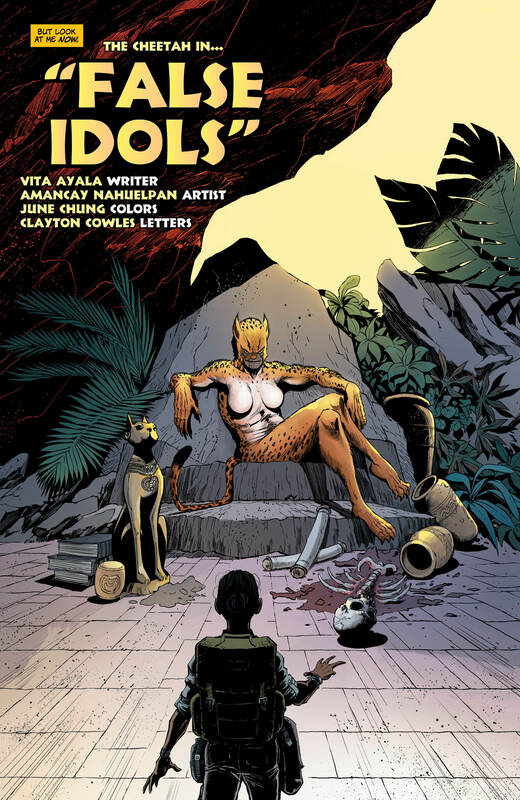 “False Idols” is by DC’s Talent Development Workshop grads Vita Ayala and Amancay Nahuelpan, focusing on the Cheetah and her convoluted relationship with Wonder Woman. One of the best of the batch, “Icy Embrace”, is a serious and astute exploration of the nature of villainy, of what separates a Black Manta from the rest of us. Told from the perspective of an associate dealing with the underwater ne’er-do-well for non-nefarious purposes, the script by Gabriel Hardman and Corinna Bechko effectively adds perspective to the Aquaman foe that will endure beyond their final panel. 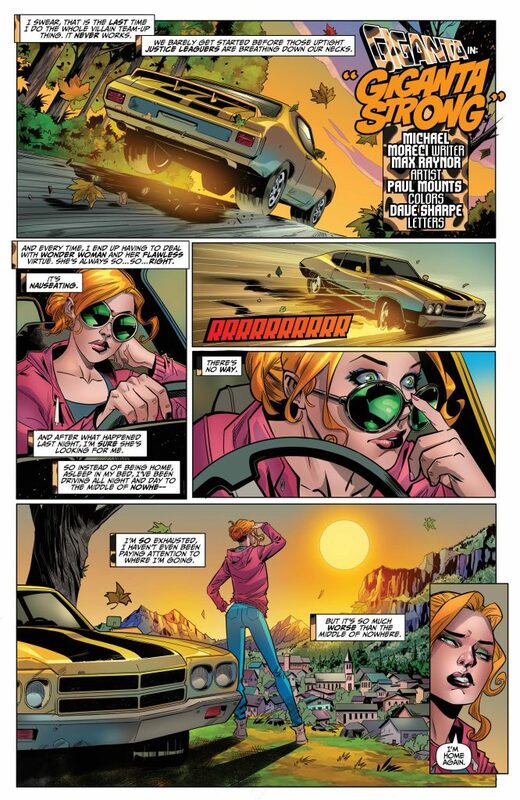 “Giganta Strong” finds the giantess of crime discovering that, some summers, you can come home again. And while payback makes for satisfying reunions, Michael Moreci elevates his tale to deliver blunt and beautiful insights from the villainess’ POV on what it means to be strong. 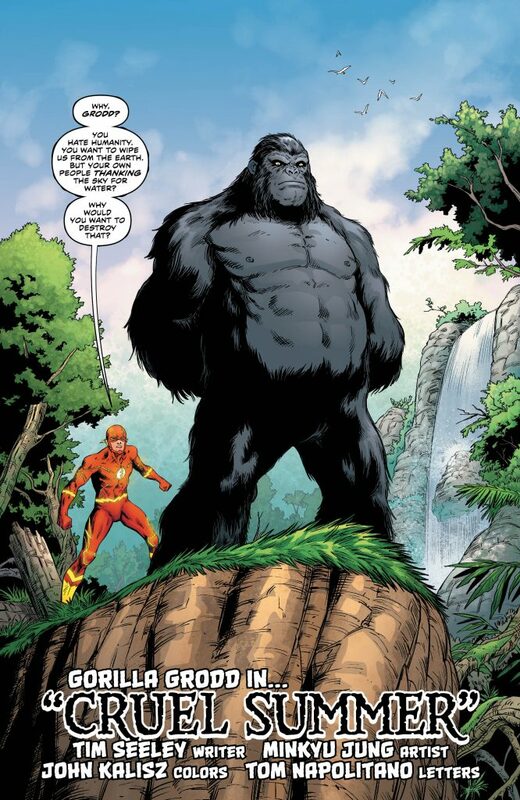 The humor here is largely provided via gorgeous art from Max Raynor, who captures the sass and snark of Giganta, while a more sobering view of strength and survival is delivered by writer Tim Seeley in his Gorilla Grodd entry, “Cruel Summer”. 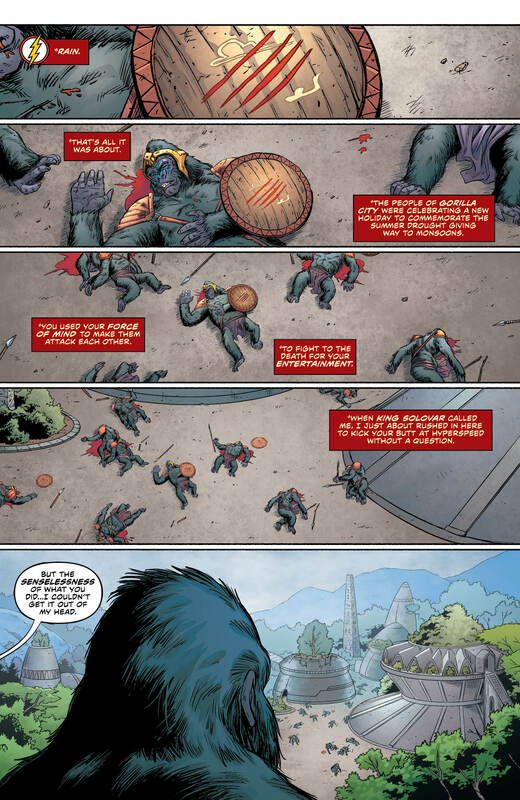 The mystique of the consummate Flash villain is expanded, and it’s the most heart-rending story of the lot as past traumas manifest in current savagery despite the compassionate entreaty of Grodd’s most hated nemesis. 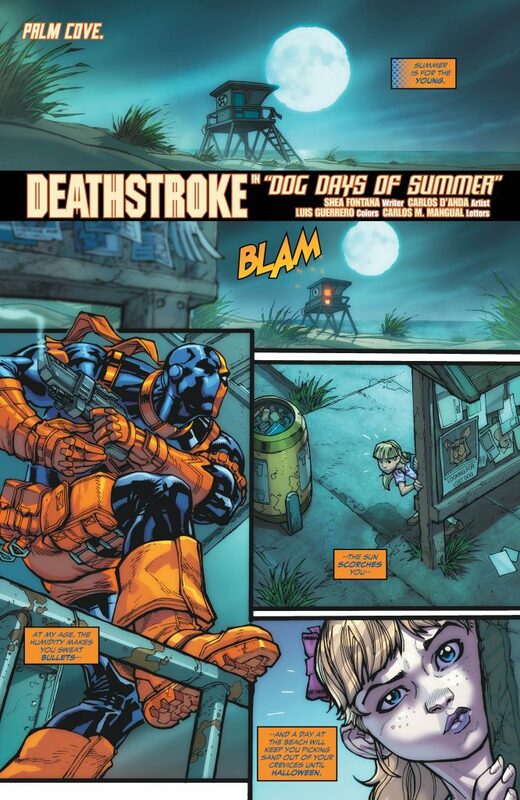 “Dog Days of Summer” with Deathstroke is a balmy villain noir where even the brightest Hawaiian shirts can’t overcome the shadows of deviant souls. With plotting as delectable as a double twisty cone, Shea Fontana proves moral ambiguity can bloom in paradise as readily as Gotham. “Perfect Gentleman”, a Penguin outing from scribe Daniel Kibblesmith, takes the kicking-sand-in-your-face trope down a decidedly darker path, a ruinous road of misunderstanding that merges onto the Super-Villain highway. 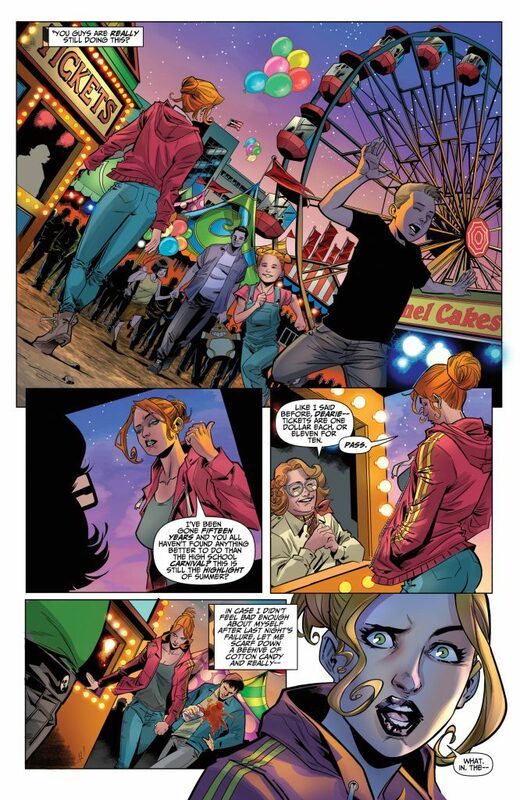 And finally, “Independence” on Earth-Three uses a celebration to examine how the worst of the worst, members of the Crime Syndicate, spend their summer vacation, as envisioned by Collin Kelly and Jackson Lanzing. 80 Page Giant tomes are always a mixed bag, some stories centering on favorite characters to enrich and augment their personalities, while others likely involve characters less revered or situations that net fluctuating degrees of interest. Likewise, the level of writing and art from so many talents can vary widely. This Special maintains a uniform quality in both, and the work done to sustain that level is evident throughout. Some of the included tales will inspire empathy for the lawbreakers by letting us tread a summery hike in their felonious flip-flops. Others will make the reader gape at their wicked inventiveness, their unrepentant addiction to violence, and the harsh lessons that compelled them down dastardly detours in their hoodlum’s journey. 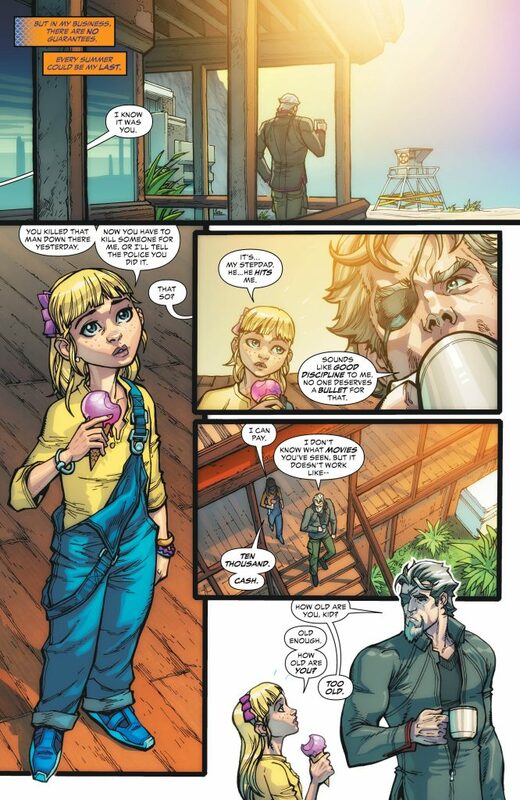 Beach Blanket Bad Guys Summer Special #1 is a diverse sample platter of adversarial analysis, satisfying as ice cold melon slices, grilled ballpark hotdogs, and carnival midway funnel cakes. The diabolic nature of these main characters, however, may have you frisking the cooks rather than kissing them. Written by Vita Ayala, Corinna Bechko, Gabriel Hardman, Lee Bermejo, Paul Dini, Shea Fontana, Tim Seeley, Jeff Loveness, Michael Moreci, Tim Seeley, Collin Kelly, Jackson Lanzing, and Daniel Kibblesmith. Art by Francesco Mattina, Gabriel Hardman, Otto Schmidt, David Williams, Carlos D’Anda, John Paul Leon, Amancay Nahuelpan, Max Raynor, Minkyu Jung, and Laura Braga. Pencils (for “Independence”) by Giuseppe Camuncoli. Inks (for “Independence”) by Cam Smith. 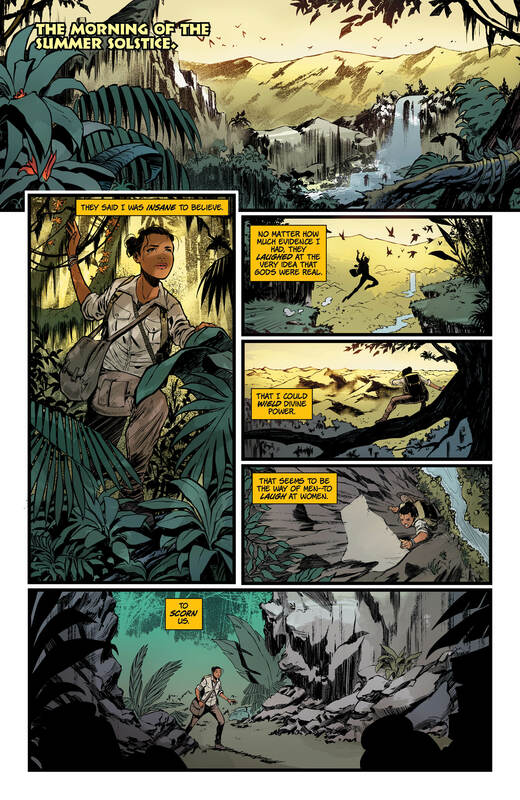 Colors by Steve Buccellato, John Paul Leon, June Chung, Matthew Wilson, Paul Mounts, John Kalisz, Luis Guerrero, Tomeu Morey, and Arif Prianto. Letters by Tom Napolitano, Carlos M. Mangual, Deron Bennett, Clayton Cowles, and Dave Sharpe. 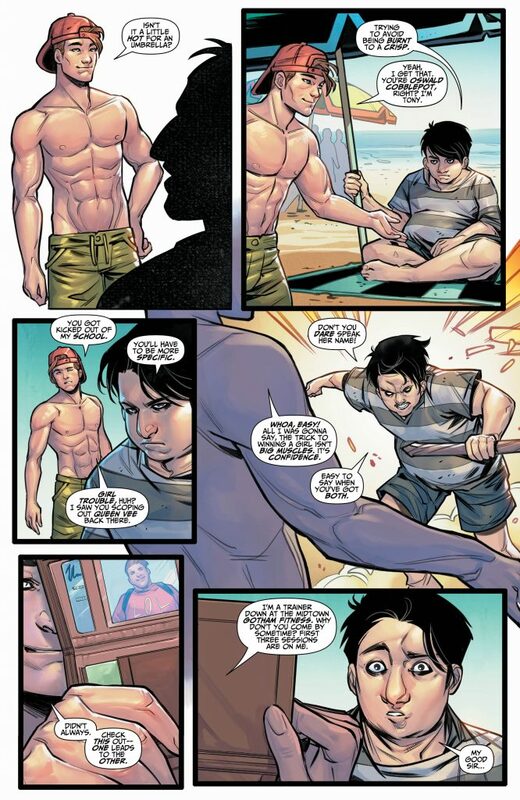 Enjoy this ten-page preview of ‘DC’s Beach Blanket Bad Guys Summer Special’ #1, courtesy of DC!